Ten (10) 8oz. Cups Bloemers Chile Base. 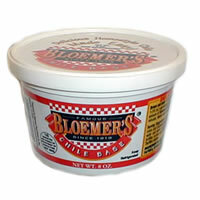 Also available in a combo pack with Bloemers Original Chile Powder here. Shipped frozen in a insulated container. Refrigerate or freeze upon arrival. Chile base is shipped Monday through Wednesday only. Please allow 48 hours (Monday through Friday) + shipping time for your order to arrive.